Our season kick-off SkiTrax Annual 2014 edition features the best Buyer's Guide in North America for 2014/15 xc ski gear - plus check out our extensive Gear Test report as well. 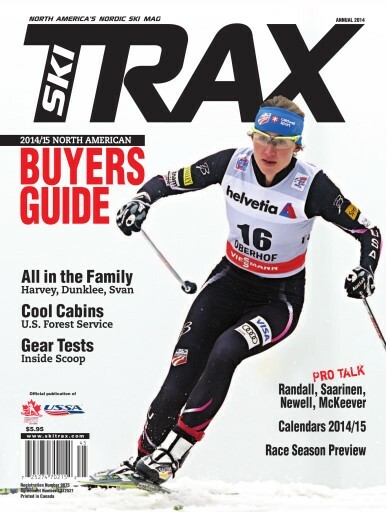 Don't miss our unique All in the Family feature about former stars and their kids as we profile Pierre and Alex Harvey, Stan and Susan Dunklee and Gunde and Julia Svan for an inside look at these top skiers past and present. Our Cool Cabins article is all about great xc skiing and rustic cabins courtesy of the US Forest Service. For a unique adventure give one of their cabins a try.